Dear Dirty Joe Manchin – Open Letter – Holler from the Hollers! I just got your email asking me to chip some money in to help get you re-elected… and I admit, just had to laugh at the audacity. No, I will not chip in to support you. You don’t need my meager offering, anyway… and goodness knows, you don’t work to help folks like me. That’s why I’m running for office myself (just at the state level). Regular people need to be represented, and we’re not. But for now, I’m just a taxpayer, just a voter, and my measly few bucks in your coffers will never be able to compete with what you’re getting from Big Energy and your other corporate donors… so as far as I can tell, you’ll never be on my side. Never. But like so many others here suffering from West Virginia’s Resource Curse, I’m sick of having my water put at risk and my property values sacrificed so you can take money from these polluters. You should be looking at the financial and health impacts of fracking and MTR, and fighting to help protect the people who live here. You’re doing the opposite. You voted for Pruitt; you voted for the repeal of our stream protections… and now you want MY money? Really? Goodness, how arrogant and self-centered of you to ask. You should be out here knocking doors and seeing what the real problems are. How are you fighting to fix those problems? The answer is: you’re not. Your priorities are elsewhere, because money buys your attention. Folks out here don’t have enough to warrant a passing thought for their troubles (although of course you’ll use our money if we send it). 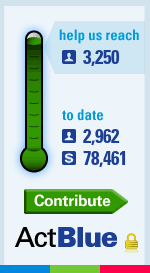 And if you pledge to support Paula Swearengin should SHE win the primary…. … then I won’t feel dirty voting for you in the general should YOU win the primary. Not all progressives here will vote for you even with this promise—believe me, some are just DONE with you, sickened by you. Some figuratively, some literally. I can’t really blame folks for not wanting you no matter what, because honestly, I can’t believe you’re even honorable enough ever agree to the above REASONABLE promises. But if you want progressive votes, making these concessions is a good idea. Even if you won’t make this pledge, I’ll ask you to please stop claiming you’re a model WV Democrat. Because unless you can commit to supporting the platform we WV Dems passed at the state convention, you’re part of the corruption so many of us are working so hard to clean out. You’re a part of the problem. And heck, we really tried to work with you. Also, stop saying you’re a “grassroots” candidate. That just makes it sound either as if you don’t even know what that word means, OR as if you’re not afraid of outright lying to voters. Remember, when progressives asked you for help before, you said you weren’t changing and demanded a primary. Well, you got it. Happy? Or do you want to re-think that “I won’t help you” stuff you tossed around so glibly, with such arrogant confidence? We’re hearing through back channels that you regret it—or at least that you regret having been recorded saying it. That may explain why you asked Cenk Uygur from the Young Turks to interview you. But that didn’t go so well for you, either. You did a genuinely terrible job of answering the question Cenk passed on from me: you stuttered around and said “they” should clean up the water. Who the heck is “they”?!! That’s YOU, Dirty Joe! You’re the THEY who needs to clean up the water… but you’re set on making it worse. And evidently, you’re set on abdicating any responsibility, too. Here’s the bottom line: if you get as far as the general and you want to win support from progressives in WV, then you have to pledge to fight for West Virginians NOW. Protect my county from Antero’s frack dump, an experimental technology that is likely to make us a future superfund site unless we can get it stopped through the rigged appeals process. You claim you have political capital? Spend it on saving this small, rural county from a fate like Minden, WV is experiencing. My guess is NO… But please, please, please: PROVE ME WRONG. Support your efforts. In letter above, found a typo in the sentence, “How are you fighting to fox those problems?” Not to nitpick, but as a former tech writer, proofing is second-nature to me. (So is finding misspelled words in my own typing). I am sure you want everything as “correct” as possible. Thanks, Kerry! I fixed the error. I’m a good content editor, but as to proofing, I miss typos all the time. I appreciate the help.